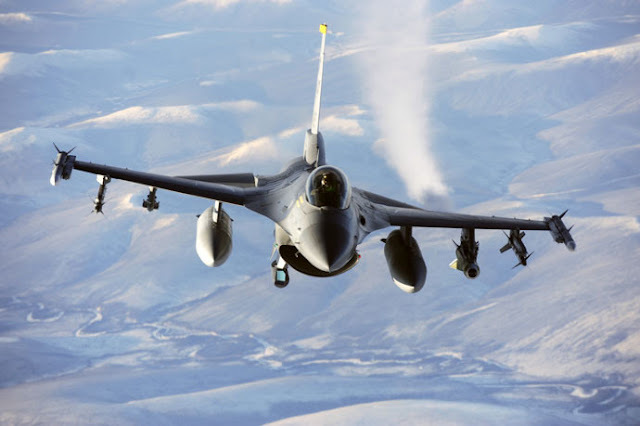 August 8, 2015 (Tony Cartalucci - NEO) - When Foreign Policy magazine recently claimed, "Turkey Goes to War," in their article of the same title, what they really meant was "the US goes to war." That is because the lengthy plan they described in their article is not of the Turks' creation, but a long-standing US plan committed to policy papers since at least as early as 2012. However, these "safe zones" are precisely what US policy think tank the Brookings Institution has conspired to create over the entire course of the Syrian conflict, under different pretexts - first predicated on feigned "humanitarian" concern similar to the ruse used to justify NATO's war on Libya in 2011, and now using the so-called "Islamic State" (ISIS) as a pretext. An alternative is for diplomatic efforts to focus first on how to end the violence and how to gain humanitarian access, as is being done under Annan’s leadership. This may lead to the creation of safe-havens and humanitarian corridors, which would have to be backed by limited military power. 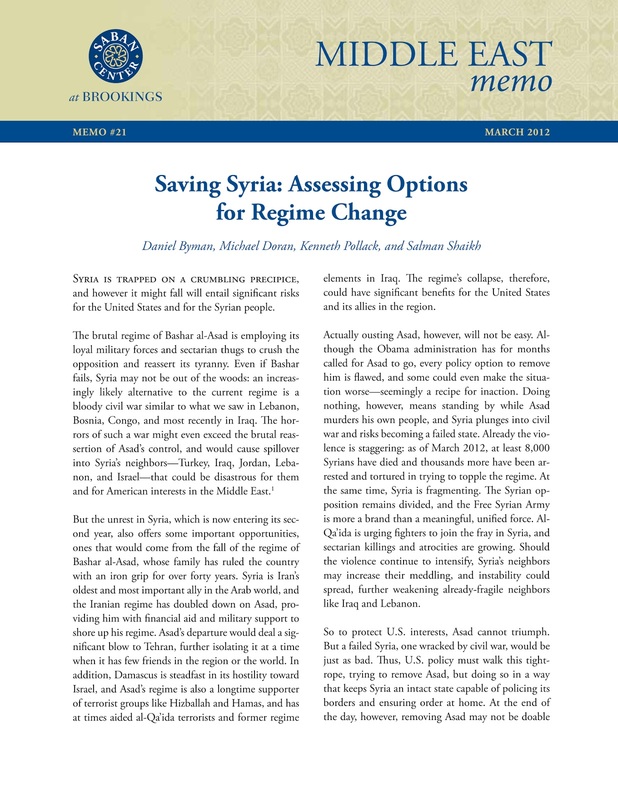 This would, of course, fall short of U.S. goals for Syria and could preserve Asad in power. From that starting point, however, it is possible that a broad coalition with the appropriate international mandate could add further coercive action to its efforts." In reality the latest pretext, ISIS, was created and to this day perpetuated by US, Saudi, Israeli, Jordanian, and Turkish support. ISIS is incapable of sourcing the weapons, cash, and fighters within Syria and Iraq alone, and admittedly receives the vast majority of all three from abroad. 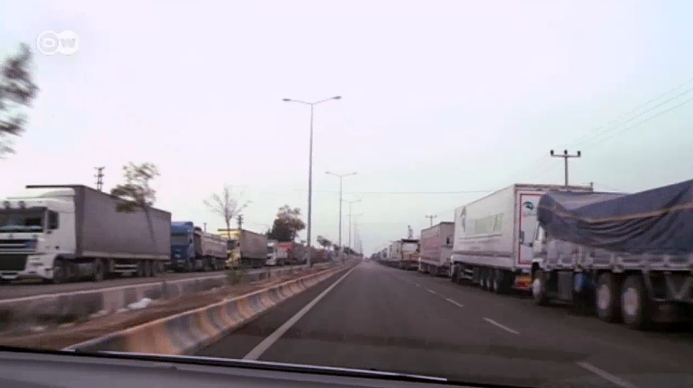 In Turkey alone, hundreds of trucks a day pass by Turkish border checkpoints destined for ISIS territory in Syria and Iraq. So overt are these supply convoys that a Deutsche Welle's camera crew spent a day filming them and interviewing locals describing the daily torrent feeding state-sponsored terrorism just across the border in northern Syria. Growing complaints from Israel's Druze community prompted the public statement which proves that Israel, like Turkey to Syria's north, is providing material support for Al Qaeda terrorists - the very terrorists the West and its regional allies are attempting to use as a pretext to yet further escalate the Syrian conflict. Were Turkey serious about ending the ISIS menace, its first order of business should be to stop harboring their fighters in their territory. Stricter measures along Turkey's borders would be implemented to prevent new fighters from streaming into Syria and joining ISIS' ranks, and the endless torrent of supplies flowing into ISIS territory in Syria and Iraq, apparently through NATO-member Turkey's territory, would also be interdicted immediately. One may notice that Turkey is the virtual port-of-call for all fighters from across the world seeking to join ISIS - whether they are Uyghur terrorists the US and Turkey are trafficking from China, or patsies recruited by Western intelligence services across North America and Europe sent to and from Turkey before carrying out spectacular terrorist attacks back home. In fact, it was to Turkey that one of several of the French Charlie Hebo shooting suspects attempted to flee in an attempt to rejoin ISIS fighters in Syria. Image: Turkey claims it must bomb Syria to "stop ISIS," yet has for years allowed torrents of supplies each day to cross the border destined for ISIS territory in Syria and Iraq. This image was captured by Germany's DW showing hundreds of trucks a day laden with supplies for ISIS staged directly under the nose of, if not directed by, Turkish authorities. For years now, these options were clearly on the table and at any point Turkey could have exercised them. But Turkey has not. That is because eliminating ISIS is not the objective of this most recent attempt to militarily intervene in Syria, rather the objective is to carve out "safe zones" as described by US policymakers in 2012, from which to topple the Syrian government. Turkey has no intention of "stopping ISIS." There are no "moderate" fighters Turkey has to back in its alleged, upcoming military operation. It will carve out Syrian territory in a defacto invasion, and push the front closer to Damascus in a desperate bid to once again shake the resolve of both the Syrian people, and the Syrian Arab Army. 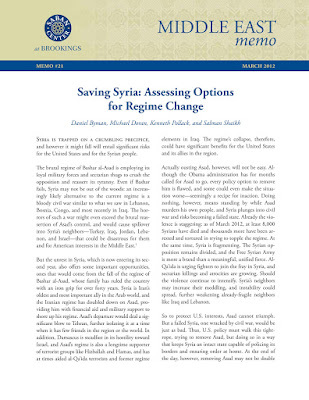 It also seeks to shatter the resolve of Syria's allies who have thus far stood with Damascus. By threatening to carve out Syrian territory in a defacto invasion under the pretense of "fighting ISIS," when in all reality ISIS will simply be provided with NATO aircover to further build its otherwise inexplicable fighting capacity, NATO hopes to force concessions from Syria's allies to salvage what would be left after the operation concluded. The US and Turkey's planned invasion of northern Syria is a power move born of a frustrated, stalled conspiracy to topple the Syrian government in quick succession after the fall of Libya's in 2011. A well-calculated power move by Syria's allies is in order to counter it.